When you’re running a small business, figuring out how to market yourself can be a challenge. Many small businesses don’t have the money to spend on fancy small business branding plans or resources, and struggle to find a way to get their brand name out there. In the process, these growing companies tend to make mistakes in their marketing that might actually hurt them. If you’re running a small business, be sure to avoid these common marketing mistakes. Ignoring local customers: In trying to draw in more customers, many small businesses forget the easiest demographic possible: their local customers. Your local, existing audience will likely have already at least heard of your company through word-of-mouth. When working on your small business branding, pay attention to your local customers. Forgetting SEO: Technology is more important than ever for businesses, and this includes smaller companies as well. Forgetting to strengthen your internet marketing and search engine marketing can be a big mistake that really limits how far your company can grow. 53% of marketers cite blog content creation as their number one inbound marketing priority, and yet many companies ignore their blogs entirely, which can severely impact SEO results. Having your company rank higher on search engines like Google and Yahoo will help you draw in business you may have otherwise completely missed out on. Reaching too far: Many small businesses are so concerned with expanding their reach as far as possible that they spread themselves too thin. If you make your marketing tactics too generic and not focused enough on your ideal audience, you run the risk of not connecting well enough with anyone in particular. Keep your audience in mind when designing your marketing strategies to avoid this problem. Not getting help: If at all possible, you should look to hire marketing consultants to help you design your ideal branding strategy for your small business. Marketing specialists will likely have insights onto new branding strategies and mediums that could help your business thrive, as well as the experience to handle your business’s individual marketing needs. 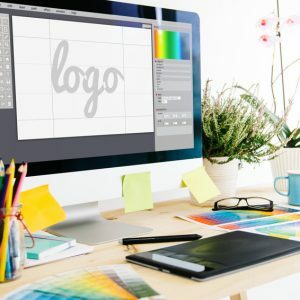 Marketing for your small business can be complicated but using these tips, you’ll be able to help establish your ideal small business branding strategy in no time. Want more information on marketing strategies, specifically internet marketing? Contact Catalyst Visuals today.